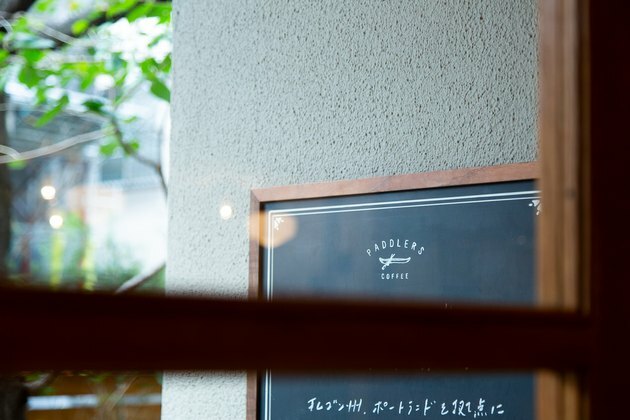 Paddlers Coffee is tucked away in an unsuspecting little corner of the Nishihara shotengai — a pedestrian shopping arcade filled with little mom and pop shops, common near train stations throughout Tokyo. 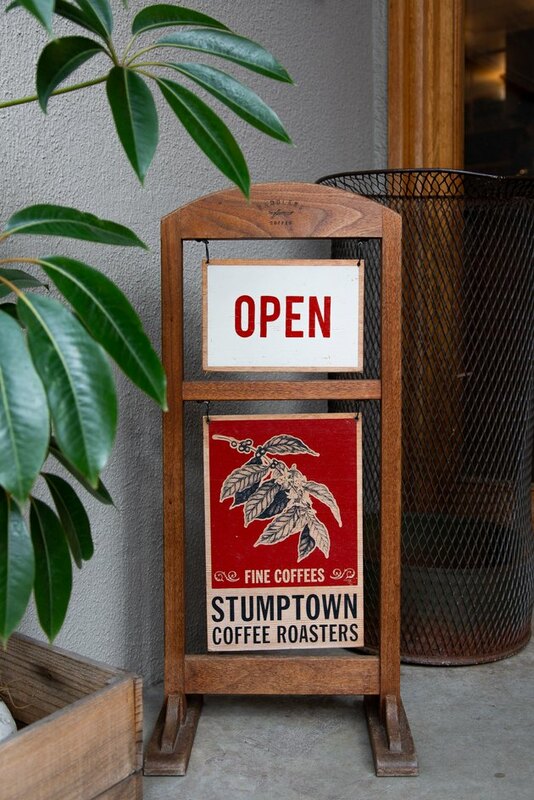 But with its warm, wall-to-wall wood paneling, vintage decor, a collection of bikes outside and the smell of Stumptown inside, it might as well be 5,000 miles across the Pacific, in Portland, Oregon. There's a reason for that. The owner, Daisuke Matsushima (who also owns Bullpen Shop, a furniture and home goods store), moved to Portland on his own at age 15. (He was born and raised in Nakano, not far from Paddlers, on the outskirts of the Shibuya District). 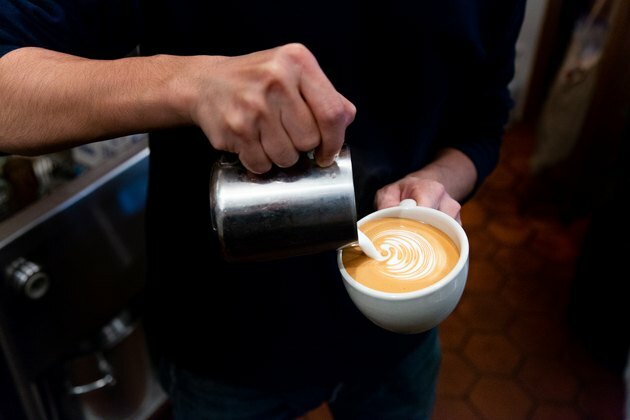 His education in third wave coffee didn't happen until years later, though. 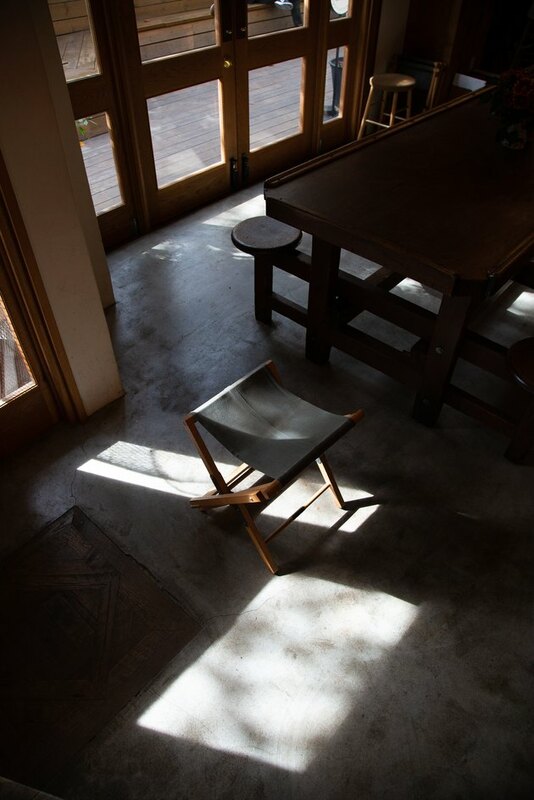 "I wanted to create a space where people could gather and share things," says Matsushima. It's a simple conceit, but one that he felt was missing in Tokyo, particularly in the aftermath of the Fukushima earthquake. That devastating event brought Matsushima back to Japan in 2011, to help rebuild not just the city, but the community itself. "That was one of the reasons I started Paddlers," he said in an interview for the Stumptown blog. 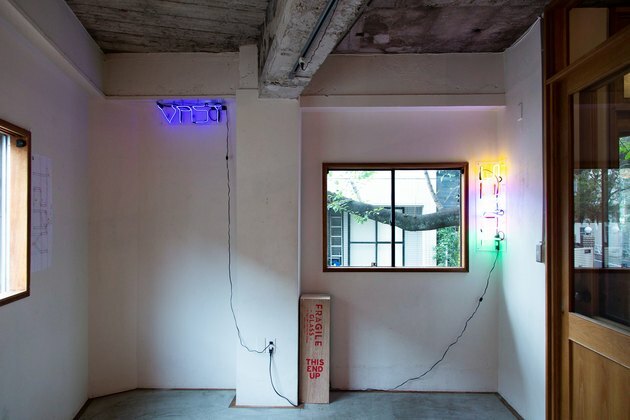 "I thought people in Tokyo needed a place to go and hang out." 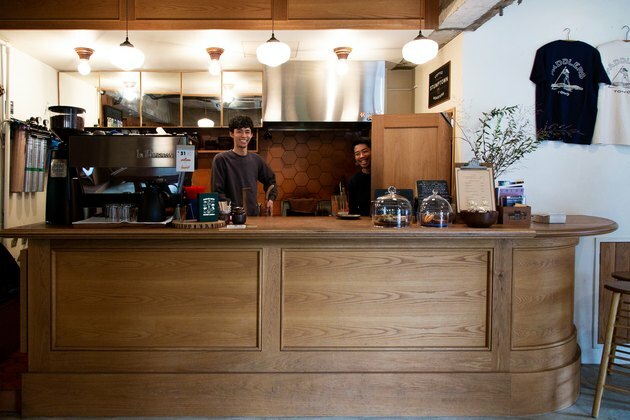 Matsushima was the first person to bring Stumptown to Tokyo back in April 2013 with a pop-up coffee stand at Life Son, a small restaurant near the Sangubashi station in Shibuya. Soon after, he was looking for a place to call his own. 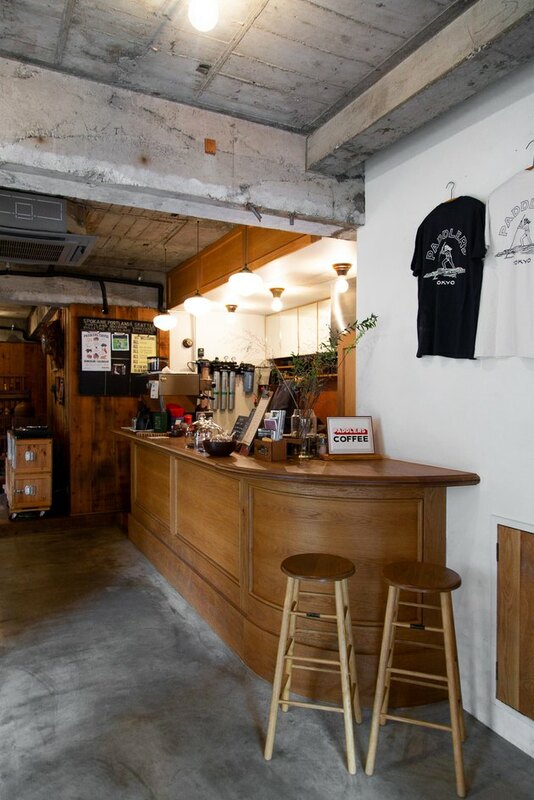 "A lot of the coffee shops at the time were very similar," says Matsushima. "They all had the same vibe, which I thought was a little boring. Everyone was using the same materials, the same music, the same ceramics." He wanted to create something different. 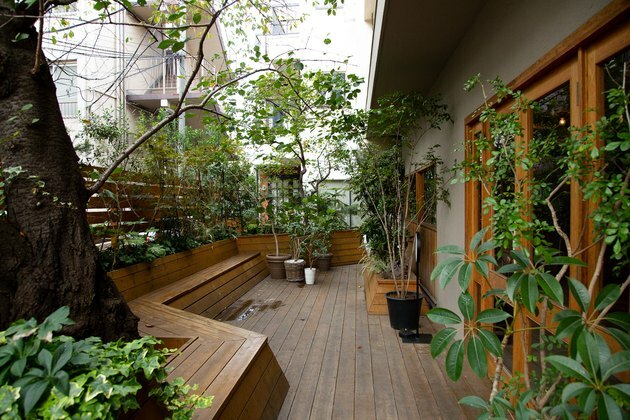 At the end of 2014, he and business partner Takehiro Kato found a property about 20 minutes away from Life Son, a home owned by an older woman. "It was a mess," says Matsushima, "overgrown with an old pond on the side of the building." But the huge cherry blossom tree out front called to him. "I was in charge of coming up with the design and curation of the space, and Take was in charge of the coffee," he explains. Over six months, they transformed the space. "We tore everything down," he says. 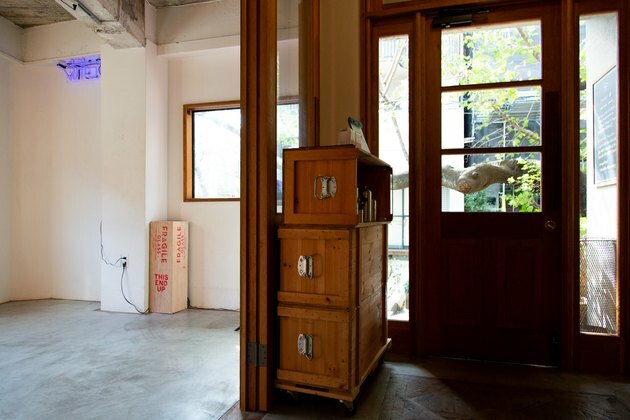 "We took out the flooring, the old tatami mattresses, the ceiling." They painted; they even laid the concrete floor. "We destroyed everything so we could start from scratch with an empty space." 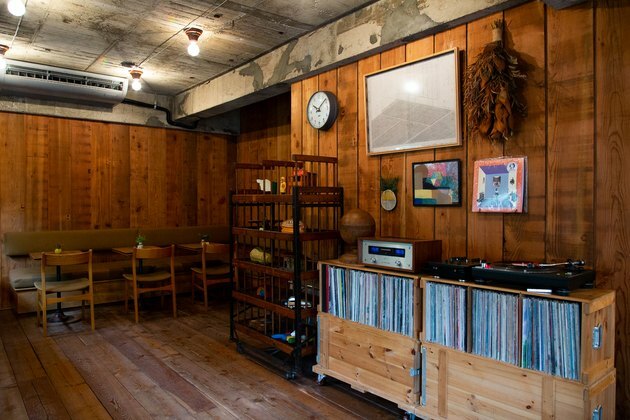 The space itself was inspired by places in Matsushima's past — like Courier Coffee in Portland, which inspired the record player and vinyl collection, or P's & Q's Market in Portland, the inspiration for the back patio — as well as nearby spots like JBS, a jazz bar in Tokyo that has similar wall-to-wall wood paneling. The result is warm, welcoming, and communal — exactly what Matsushima wanted for his friends and neighbors: a place to linger and feel like home away from home. 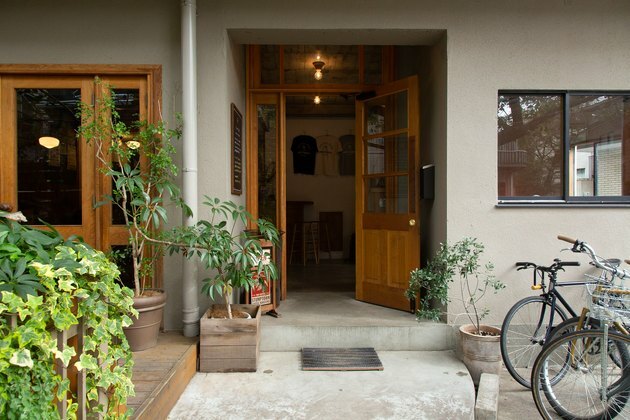 TimeOut Tokyo calls Paddlers "a little piece of the Rose City in one of the quieter corners of Shibuya." 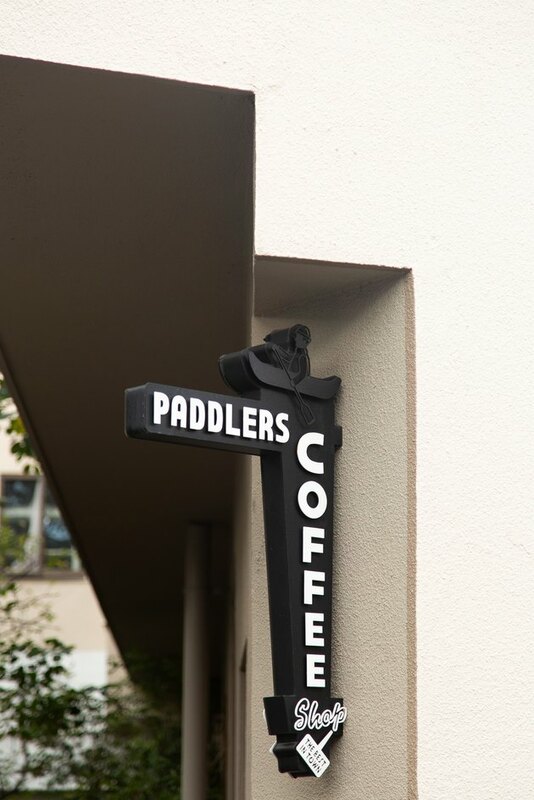 Paddlers is different from the traditional kissaten coffee shops — and not just because of the style of coffee. 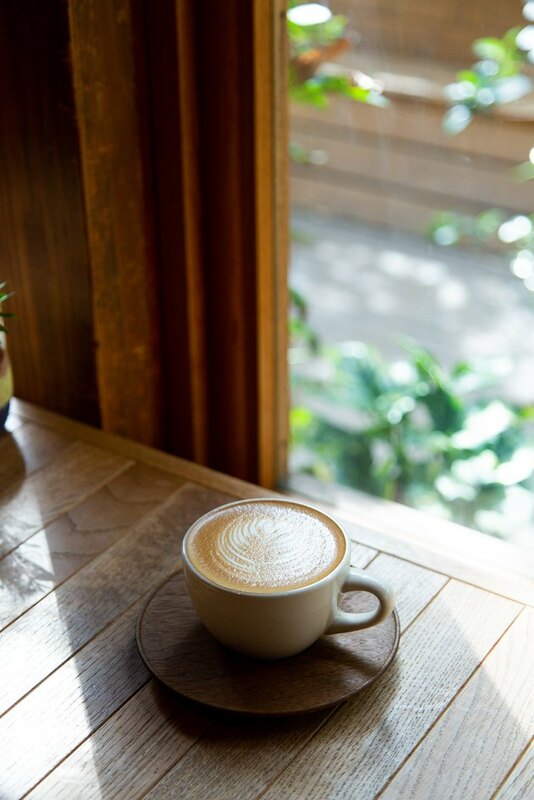 "The concept of having coffee early in the morning is new for Japanese culture," says Matsushima. "It's taken a while for people to get use to it. People usually go out and drink at night, but they don't think they have time to chill in the mornings. I wanted to bring that experience of meeting up with friends for coffee in the morning from Portland to Japan. I want to keep doing this, even if it is still not that popular." 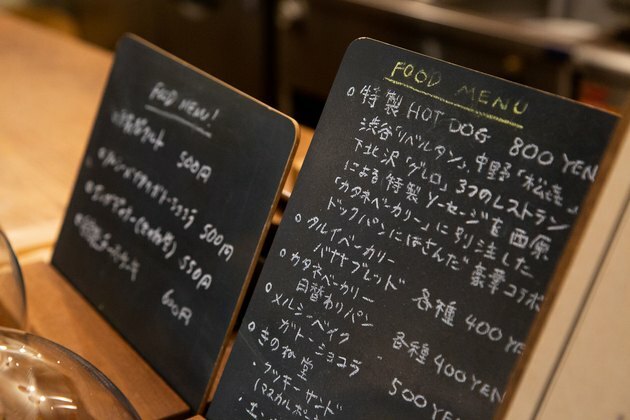 Paddlers serves espresso and pour-over drinks, as well as pastries and their signature hot dogs, made with buns from Tarui Bakery, which is next door to Life Son, where Matsushima and Kato got their start. 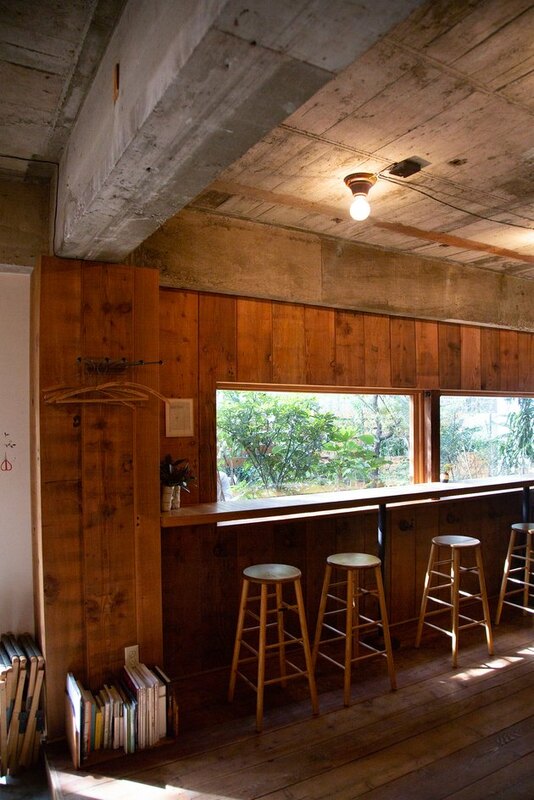 The large, open cafe is anchored by what Matsushima calls "the ship table." "I bought it in Portland a year before I found the property, so once we had the space I knew it would go in the center and we would design everything around it," he says. Originally, Matsushima thought the property was too large for a cafe. (They initially intended to share it with a restaurant.) On a whim, he held a pop-up for a friend's vintage shop, Paletown. "People loved it," he says. "I decided to go forward and invite different shops and artists to host pop-ups here." 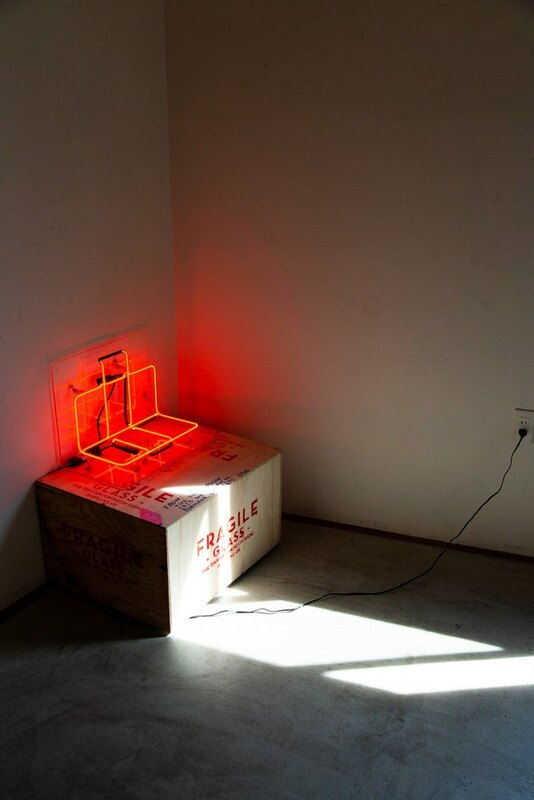 A recent show of neon sculpture by Perry Pfister, who — not incidentally — hails from Portland. Still, the heart of Paddlers is the record player. "I love the area where we have our records set up," says Matsushima. "We are constantly stopping to change the record and choosing what music we want playing in the shop." 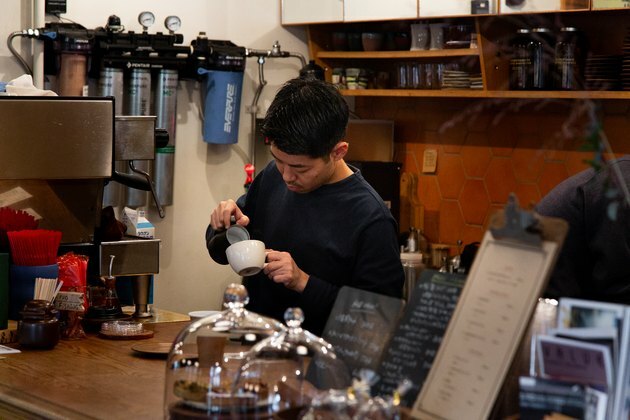 "My friend Joel at Courier Coffee told me that you have to be relaxed," says Matsushima. 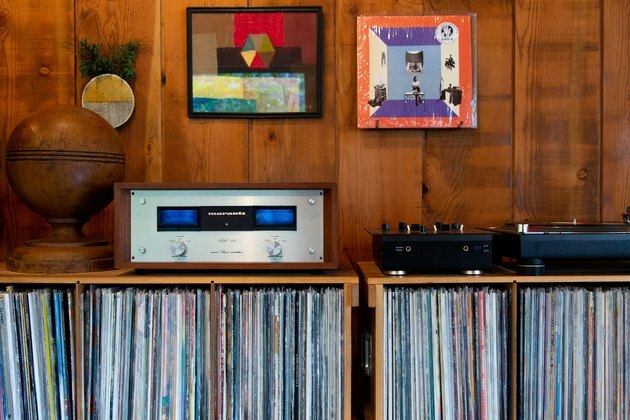 "Even if you are busy, you need to make time to know which record you are going to play next. We try to slow down and focus on the experience of the customer in our shop, rather than just getting coffee made as quick as possible." The most popular beans at Paddlers? Stumptown's Ethiopian Nano Challa. 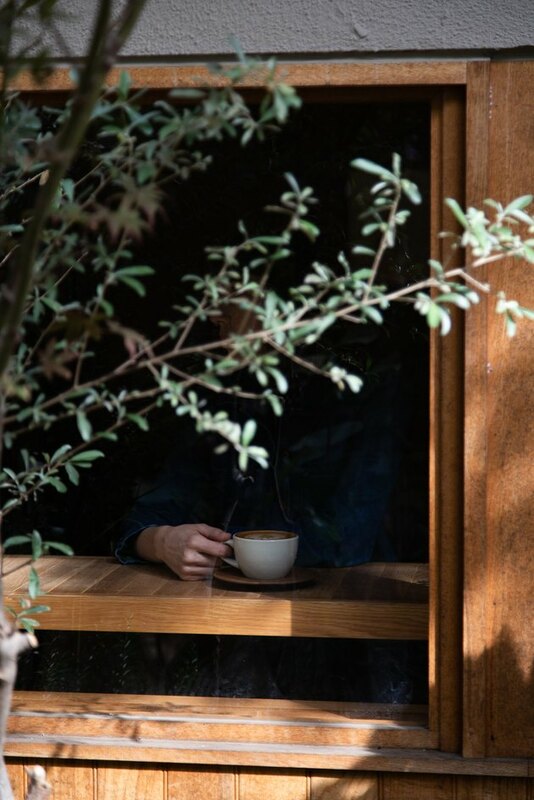 "The name Paddlers Coffee comes from the saying 'paddle out,' and it's about going with the flow," Matsushima told Sprudge, the coffee blog. "I want people to have a complete experience when they come into Paddlers, from the music that is playing, to the interaction with our staff, to the way they hang out with their friends," says Matsushima. "I want it to be something that is memorable."